The Tale of Modi Regime: Two Modis and a Mallya. Now it has completely been proven beyond any iota of doubt that the entire nation is infested with robbers and the public money is being syphoned off with virtual impunity. When the UPA was in power, the crony capitalism reigned supreme. The then dispensation allowed their corporate cronies to borrow lakhs of crores of public money from nationalized banks and default, which pushed the banks deep into the NPA crisis. Now, the Modi regime, by granting safe passage to the financial crooks, pushed the cronyism to new heights. The laissez-faire capitalism turned to ‘nationalized’ banks to avail loans and subsequently get a loan waiver. Through this bank fraud both the political dispensations – the UPA and the NDA – implemented “socialism for the rich and capitalism for the poor”. Recently the NDA government, headed by Modi, who became notorious for its own brand of crony capitalism, gave the extremely obnoxious and sinful bailout to the corporate defaulters in the name of ‘bank recapitalization’. Even while the nation’s banking system is trying hard to pull out of the NPA quagmire, the country’s second largest state-run lender, the Punjab National Bank (PNB) has plunged into another crisis after a scam to the extent of 11, 500 crores were unearthed in the bank. Another Modi, a ‘fat cat’ diamond trader, who was photographed at Davos with ‘neta’ Modi along with the other ‘fat cats in the snow’, is the kingpin of the fraud. If the UPA has gained notoriety for taking corruption to the dizzying heights, the NDA has mastered the art of giving safe passage to all the fraudulent crooks out the country and thereafter indulge in empty rhetoric with the avowed intention of hoodwinking the people. The fact of the matter is the two political dispensations in the country – whether it is the UPA or the NDA – they both are nominated by their ultra-rich cronies and it does not make any difference to them who is in power. The entire political exercise called the election, where people get an opportunity to cast their votes for every five years, has been reduced into a trivial ritual, and as a result, the ultra-wealthy oligarchs are able to reign supreme establishing themselves as the crown-less kings. When Rahul, the Gandhi scion tweeted by stating, “Guide to Looting India by Nirav MODI 1. Hug PM Modi 2. Be seen with him in DAVOS Use that clout to: A. 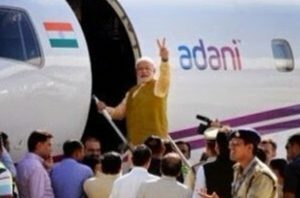 Steal 12,000 Cr B. Slip out of the country like Mallya, while the Govt looks the other way. #From1MODI2another”, he had done a marvellous job. But I’m sure he hadn’t glanced at his face in a mirror while sending that tweet. Even while the search and seizure drama was unfolding in Nirav Modi case, another oligarch by name Vikram Kothari, the promoter of Rotomac brand of pens, defaulted to the extent of Rs. 3,700 Crores. The common thing among all these bank frauds is the close connivance of the bank officials with the fraudsters. The role played by the politicos is yet to come to the light. When a fraud of gargantuan proportions strikes the nation, both the political dispensations engage in a blame game and ultimately work towards saving and protecting the interests of their fat cat cronies who indulged in the fraud. After all, they are the ones who finance their political campaigns and it is their way of paying back. Modi government, which hitherto bragged about being a corruption-free regime, is slowly proving to be much more corrupt than the UPA dispensation. The scams that came to light during the UPA regime appear to be notional but these bank scams are real and the sums that are involved are mind-numbingly large. The entire banking system appears to have plunged into a crisis. The neta Modi, who came to power claiming himself as the messiah of the masses, is fast proving himself a patron saint of the fat cats. His government’s policies are aimed at channelizing more wealth towards the ultra-rich and delivering empty promises and slogans to the poor. According to Oxfam report, India’s richest 1% garnered as much as 73% of the total wealth generated in the country in 2017. The way the successive governments are pushing the neoliberal policies will only result in the further deterioration in income inequalities and push scores of families into further squalor. 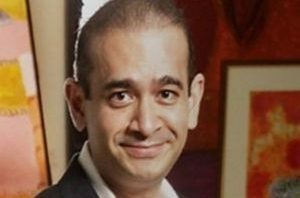 Now that Nirav Modi got the much needed safe passage and joined his fellow fat cats Vijay Mallya and Lalit Modi, he will continue to freely move around in a foreign land. As we move ahead as a nation the tribe of financial crooks continue to thrive ceaselessly putting the entire nation to ignominy. This entry was posted in Politics and tagged fraud, Modi, Punjab National Bank on February 16, 2018 by Dr. Ramachandra Reddy. A Victory for Corporate Hindutva. As the Gujarat election results unfold, it appears that the Corporate Hindutva represented by the Prime Minister, Narendra Modi, once again prevails albeit with a largely reduced majority. For a short while, for those who were watching live results, it appeared that the Congress, led by the scion of the Gandhi dynasty, may pull off a surprise victory. And the seemingly astounding turnaround for Congress, albeit short-lived, sent chills down the spines of our casino capitalists, as the benchmark in‘dice’ in the Bombay ‘casino’, which of late has been mirroring the Corporate Hindutva sentiment, was understandably down by over 700 points in the morning trade before rebounding as the clearer picture started emerging. And the dynasty loyalists, who were present in the television studios, started indulging in a premature celebration blissfully ignoring the fact that the initial trend may not be sustainable. I, being a common man, am concerned about the plight of my fellow commoners. For them, neither the BJP nor the Congress is good because one represents Corporate Hindutva, which only makes the lives of the poor and marginalized more miserable, and the other represents corruption and casteism, which eat into the vitals of the society. Then what is the alternative? The third front? It is only a delusion and in all probability may not materialize. So these elections only made me uninterested and unexcited. Now, what will happen? The dynasty scion, who became the president of the congressCongressnly days ago may face some heat from the disgruntled party men for not being able to capitalize on the vulnerabilities of the BJP, especially after it botched up demonetization and the implementation of the GST. And Modi, emboldened by this victory, will definitely pursue his neo-liberal policies with increased vigor and intensify his efforts to deregulate with an avowed intention to make the lives of his corporate cronies easy as part of his ‘ease of doing business’ mission. If he doesn’t do that he may not be able to mobilize enough ‘anonymous’ corporate donations for his 2019 campaign. Therefore, this result will only pave way for the institutionalization of the crony capitalism and its further entrenchment. The reduced majority in Gujarat, in spite of it being a Hindutva laboratory and the inspiration for an economic model called ‘Gujarat model’ which is now being implemented all across the country, is truly ominous for Modi and his party. The BJP, though managed to score impressive wins in urban centers appeared to have faltered in the rural areas, where the agrarian distress is running rampant. As far as the congress party is concerned it had better get rid of the dynasty and bring an able leader to the forefront who can compete with Modi. As long as Rahul Gandhi leads the party the binary between Rahul and Modi will always work to the advantage of Modi. The problem with the congressmen is though many of them are able leaders they deliberately disable themselves and prostrate before the dynasty in the belief that only they have the capability to bring the party to power. These elections, in a way, deliver an important message. That is, the people, in the absence of a credible alternative that has the capability and willingness to take care of the interests of the poor and the marginalized, opted for a seemingly lesser evil. They also appeared to have swayed by the Prime Minister’s scare tactics, which he executed with a poll rhetoric that is laced with communal overtones. In an essence elections in India are increasingly making the words of Karl Marx a reality. He once stated, “The oppressed are allowed once every few years to decide which particular representatives of the oppressing class are to represent and repress them.” People don’t have any other way except choosing between Modi and Rahul and they have to put up with them till an alternative emerges. This entry was posted in Politics and tagged corporate hindutva, gujarat elections, Modi on December 18, 2017 by Dr. Ramachandra Reddy. Is the far-right Modi transforming himself into a comrade? The man, Narendra Modi, as portrayed by his detractors, is the most polarizing figure in Indian politics. Believe it or not, Indians at this juncture could be classified as Modi admirers and Modi detractors. Modi admirers, popularly known as ‘Bhakts’, who stay hyperactive in the cyberspace, idolize him and are obsessed with him. They can’t tolerate any criticism directed against Modi and attack those who criticize their idol just like how a pack of wolves attack their pray. Modi’s detractors, on the other hand, blame their bête noire for each and every unfortunate incident and hold him squarely responsible for all the maladies that afflict our society. One of the most common criticisms against Modi is he being an ultra-Hindu nationalist. His association with the RSS, the Hindu nationalist organization, which promotes competitive communalism among Hindus as a bulwark against the expansionist Abrahamic faiths, is well known. His RSS background, coupled with 2002 Gujarat mayhem, gives his detractors an opportunity to compare him to Hitler, a fascist who carried out the holocaust and even caused the World War II, though the comparison is far-fetched and ridiculous. Interestingly, post-demonetization, his detractors changed their tune and started comparing him to Mao, one of the fatherly figures of Communism, who caused immense suffering in the process of establishing his hegemony in China. This comparison, just like the first one, appears to be far from the truth. It is difficult to comprehend how a man who is branded as a far-right leader, transformed himself into a left-winger. What makes this comparison justifiable? The likely reason could be Modi’s new found love for the poor and the downtrodden. He, while he was at the helm of affairs in Gujarat, was considered to be the most business friendly Chief Minister. He succeeded in wooing corporates from all across the world in a big way and is also considered to be close to many corporate bigwigs. Even his party, the BJP, is considered to be a party of the rich and the middle class Hindus, to whom many of its electoral successes are attributed. However, in many states the secular parties are able to upset the BJP’s apple cart by cleverly playing caste and minority cards. It appears that Modi is devising a plan to appeal to a wider section of the electorate to combat the secular parties and other regional formations in the forthcoming general elections. Modi’s efforts to curb black money and to promote a cashless society caused a lot of pain to the rich. Poor, though were subjected to the equal amount of suffering, appear to have stood solidly behind him in the expectation that the measure would ultimately benefit them. Some of the statements he made soon after the demonetization announcement triggered a speculation that he slowly started ditching his rich and middle-class electorate and started embracing the poor and the downtrodden. The moot point is, will Modi, in his effort to retain power in 2019 general elections, trigger a kind of class war between the haves and the have-nots to project himself pro-poor? His speeches certainly have some revolutionary undertones. However, only time will tell whether he will go to the extent of triggering a class war to transform himself into a messiah of the poor. This entry was posted in Politics and tagged comrade, far-right, Modi on January 14, 2017 by Dr. Ramachandra Reddy.